When I got back from a trip to LA this last February I was on a hunt to find & start using all natural products. A city like that of Angels will do that to you, but it also honestly made most sense to me. I mean, if my body is my own & it’s the only one I’ll have my entire life, then why am I not treating it as my most prized item? I realized I should be putting only good things in & on me & so the long process of trying new brands ensued. I figured lotion was a safe place to start especially since I’m an avid daily moisturizer. I googled & searched & found the deals & somehow landed on the L’Occitane brand. It’s a company based out of France & the ingredients & reviews were above what I was looking for. 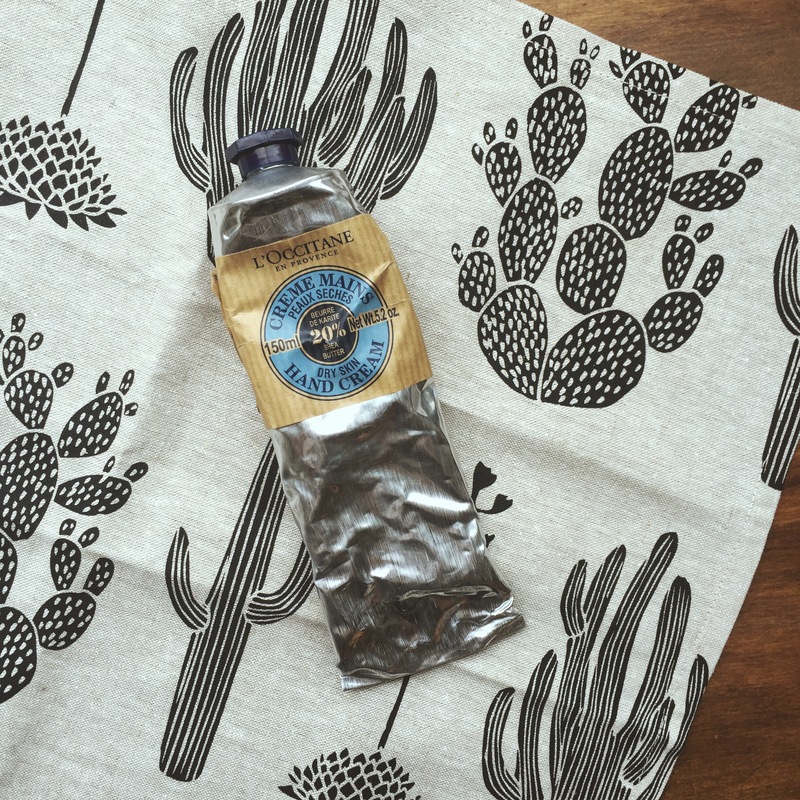 I loved the simplicity behind their products & the kind words customers had to say. I noticed they always had deals going on, so I decided to make my first purchase which did not disappoint. Now, I own three different types of their hand products (they also make soaps, body oils, creams, & more) & thought I’d give my thoughts on each item to tell you why you should order from them soon & why I am now a cream over lotion kind of gal. Confused? Read on! First up, the Shea Butter Extra Gentle Lotion for Hands & Body. This was my second purchase when they were offering free shipping. It costs $26 for a 10.1 oz container (which is smaller than you think) & lasts quite awhile. I love that it has next to no scent because I’m pretty headache prone when it comes to scented lotions & body supplies. It applies great, doesn’t leave you feelings greasy afterward, & moisturizers well. It’s a little thinner than I tend to like my lotions, but it works great for hydrating bare summer legs all day. I love that it’s something natural that’s good for my skin as an added bonus to doing what Irma made to do. This little guy is called Almond Delicious Hands & I bought it for traveling & keep it in my car or purse for quick hydrating emergencies. I just hate when I’m about to walk out of my car during the summer & realize my legs are so dry. This stuff has been a life saver more than I can count already! It has a sweet simple smell & is $12 for a 1.0 oz tube. A little goes a long way with this product, but overall I wouldn’t say I’d spend twelve buckaroos on such a small amount again. 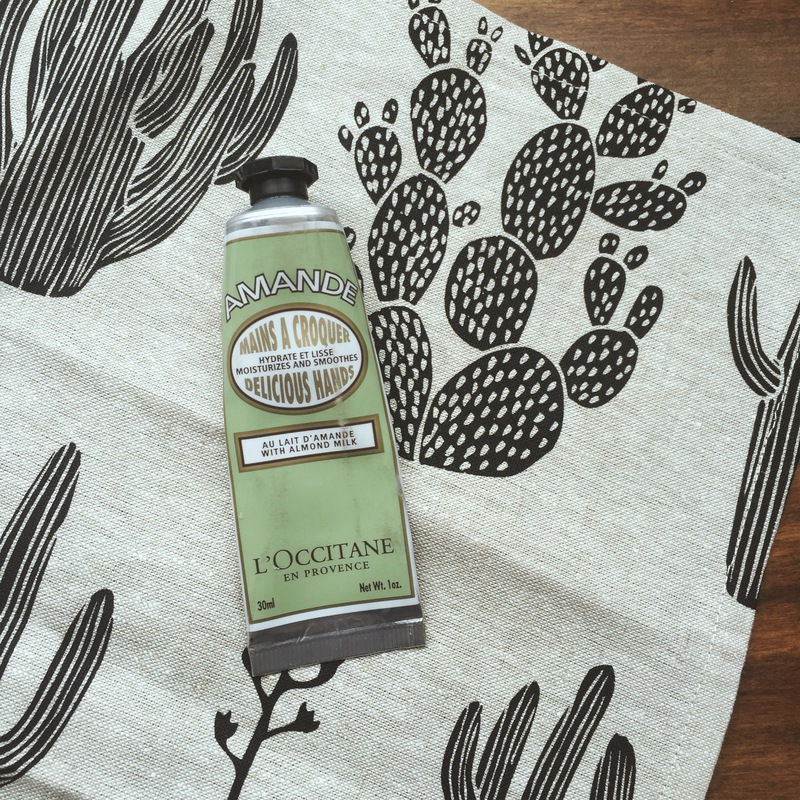 You could pay double & get almost five times the amount of lotion from almost any other L’Occitane product. But it does last a long time, so maybe in the end, the price is worth the conveince. Listen up people. Listen UP! Because I am about to tell you about the best product that will probably ever touch your hands. 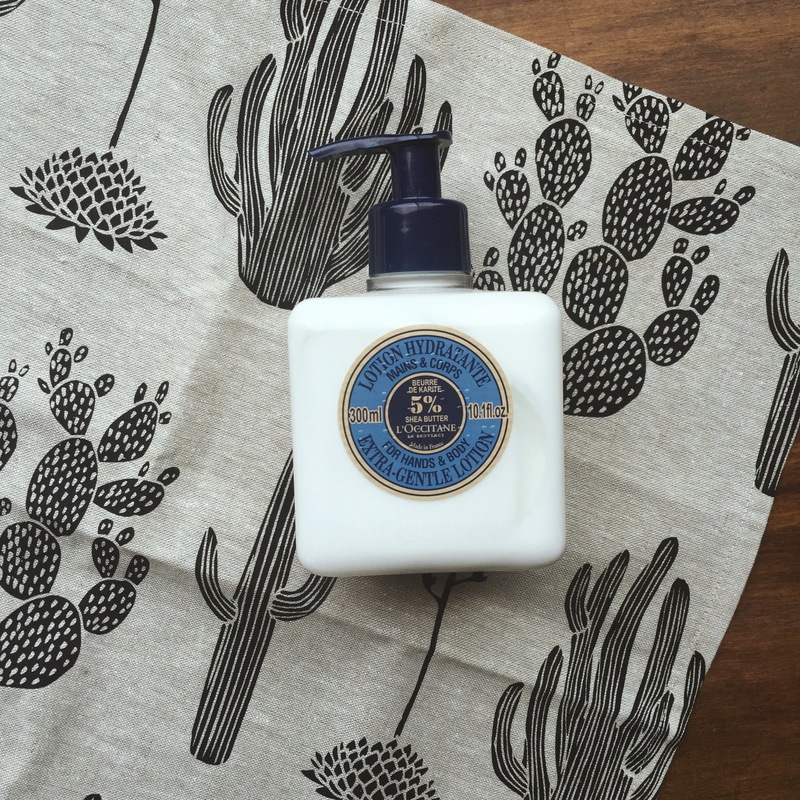 It’s called Shea Butter Hand Cream & it’s basically the best thing ever. You can get this 5.2 oz tube for just $28. I first ordered it because it’s one of their best sellers & the reviews were raging on & on about how amazing this product truly was. So I gave into the talk & figured I’d see what the fuss was all about. Mind blown. It truly is the BEST moisturizer to ever bring moisture unto your hands. I love the thickness & again barely there scent of this product. It leaves your hands so soft after each application that basically all I want to do all day is apply this stuff to my digits. It really is that amazing. It’s lasted me months & still has a ton more product to go. If you order anything from this company, you MUST order this hand cream. And once you do, you’ll be so happy that you did that’ll you want to send me some too as a huge thank you for telling you about this amazing stuff. Just kidding, but I wouldn’t turn the generosity away! 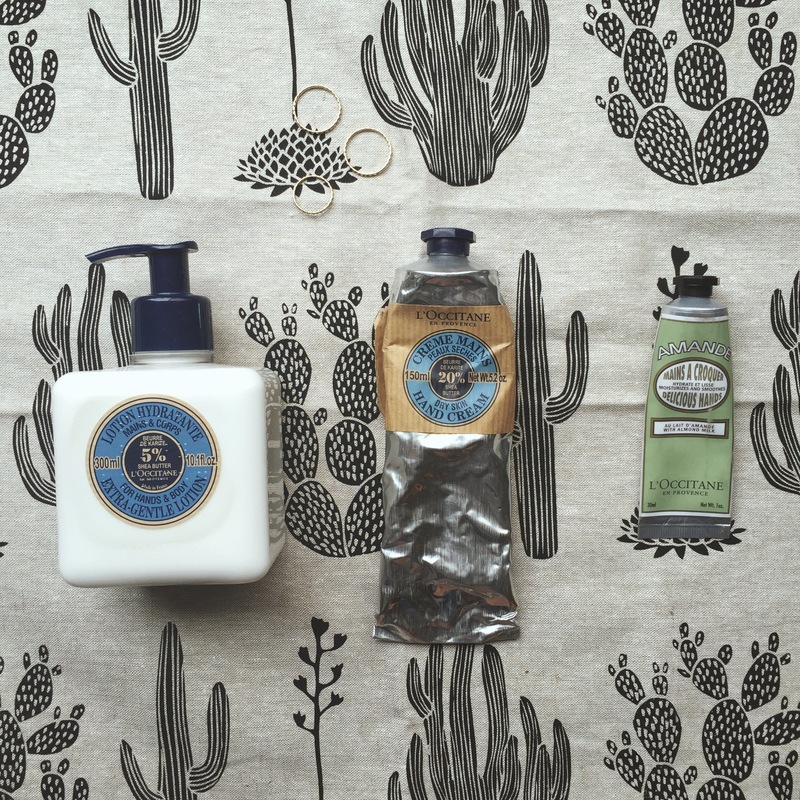 I want all this hand cream, forever, on my hands, always. 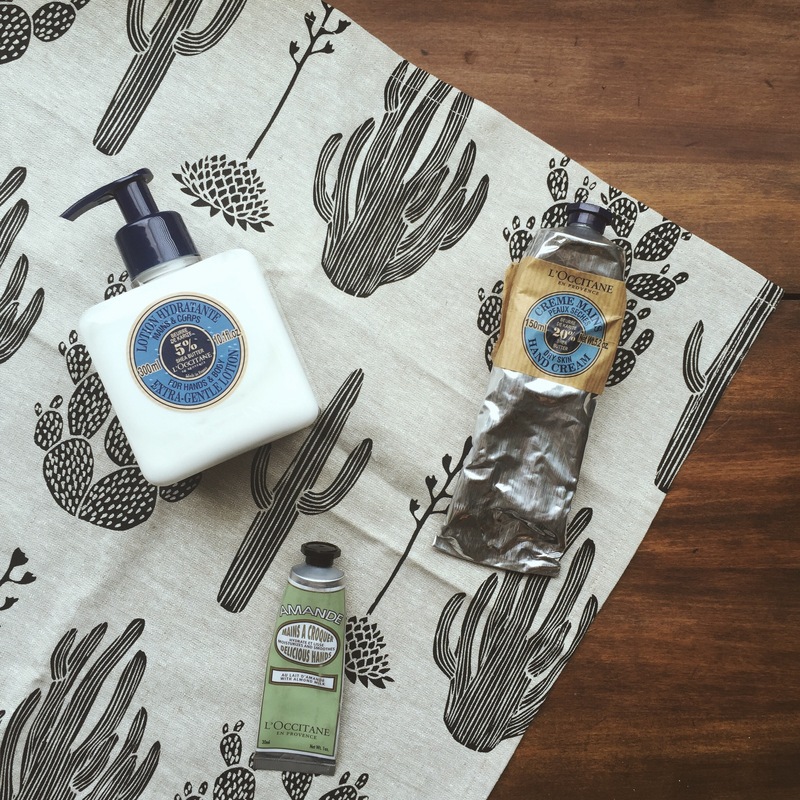 Overall, I am happy with my decision of trying out these L’Occitane products & plan to buy from them in the future. They have a Shea Butter One Minute Hand Scrub that I hear leaves your hands feeling so silky & hydrated after just one use & I cannot wait to try that out next. Thanks for reading & I hope this post will convince you to try out some of their hand products soon! Your hands will thank you later.